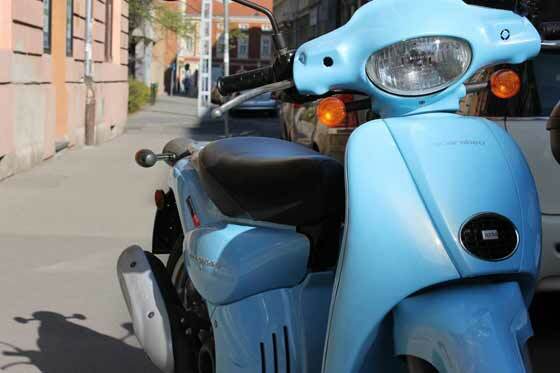 Scooter is one of the cheapest and the most enjoyable way to visit Budapest! Come and you'll get a scooter from active bikers! We are very close to the Buda Castle! There will be no traffic jams becouse a scooter is the perfect anti-traffic weapon. There'll be NO parking problems and fees either even at the most famous sights! Please find the latest special offers on our facebook profile! Driving licence needed: A, A1, A2, AM (moto) or B (car)!!! -30% a semester (6month) discount for students! For more details please come to the moto shop! Type - Yamaha YH50 WHY 50 2T (2004) permitted to one person. Fix 30l top box on it. This scooter is like it's eponym - a tough man! 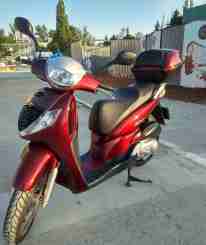 Type - Aprilia Scarabeo STREET 50 2T (2008) permitted to one person. 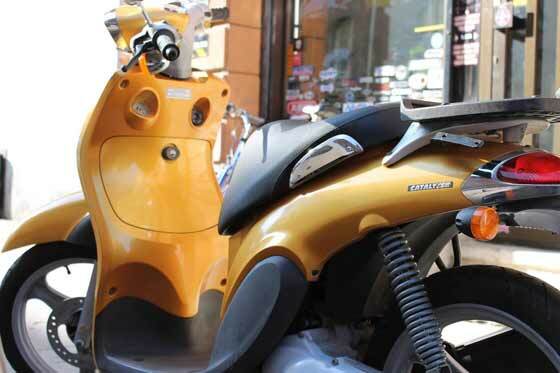 A full genuine Piaggio heart in inside. driving licence needed: A, A2 (moto)!!! Deposit for a SPORTY (50ccm) € 50, for a GOD (200ccm) € 100. You can pay the deposit with PayPal after you’ve sent us your pre-order mail and got our confirmation mail. We suggest to make the online payment prior to arriving to the shop as sometimes the transfer needs 5 or more minutes. After the scooter return process we will transfer the deposit back to your PayPal account immediately. The transaction will be completed normally in a few hours but in 48 hours at the latest. If you have to cancel your reservation the deposit will be paid back as written above. If you late +1 rental day!!! the key of the mbike €25 will be fined. We recommend CASH only for the renting prices (the deposit can be payed trough paypal!) (EUR, HUF) the maximum mileage in a rental day is 150 km, above it will be an extra 10 EUR/100km! *With easy steps to find Budapest's main attractions, available in ENG,GER,ESP,FRA = just rent a programmed GPS for it! 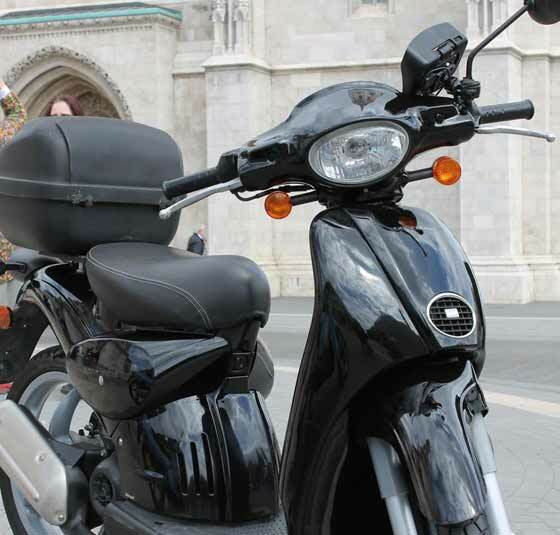 The GPS will be fitted to the scooter in front of you and there is 10 main stops (attractions for example - Bazilika, Parliament, Hero's square, Buda Castle ...etc) saved in it. Address: 1015 Budapest (1st district), Batthyany street 13.